Why did the Puritan’s Wear Wigs? Aren’t they a violation of the “long hair” problem that Paul raises in Corinthians? I’ve often been asked, “Why did the Puritans wear wigs?” If you are familiar with the Puritans at all, or many of the Reformers for that matter, wigs, coifs and black flat caps were common in their day and most of the woodcut pictures you see have them wearing some sort of wig. The wearing of wigs came from a few different directions. None of them, however, at any time, had some conflict on “dressing like a woman” or wearing woman’s clothing, or anything of the sort. This would immediately dispel any ideas that “wig wearing” was in violation of the Apostle Paul’s statements regarding long hair about women in the Corinthian correspondence. 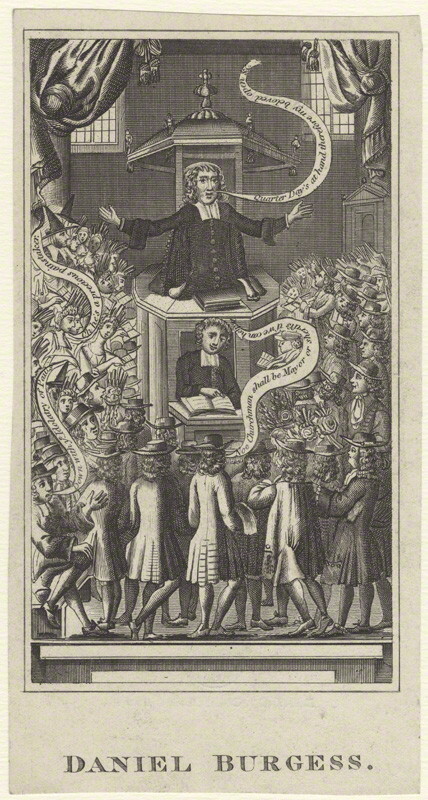 George Gillespie, one of the Westminster Divines, and a longer haired preacher, states, “As touching a man’s self, the law of nature teaches him that he should not live as a reasonless creature, but that all his actions should be such as may be congruous and beseeming for a creature endued with reason: Whereupon it follows, that he should live honestly and virtuously, that he should observe order and decency in all his actions, etc. Hence the Apostle says, that nature itself teaches that it is a shame for a man to have long hair (1 Cor. 11:14) because it is repugnant to that decency and comeliness which the law of nature requires. For, among other differences which nature has put between men and women, this is one, that it has given to women thicker and longer hair than to men, that it might be as a veil, to adorn and cover them. The reason whereof, nature has hid in the complexion of a woman, which is more humid than the complexion of a man. So that, if a man should take him to this womanish ornament, he should but against nature transform himself (in so far) into a woman. (Paraeus, Com. in illum locum. [Cf. Ad Corinthios priorem (1609) col. 699. ])” The barrister or judge’s wig had no resemblance of any kind to a woman in this regard. So, what is the point? The royal court, magistrates and those dealing with the law began wearing wigs around the 16th century. The best examples were made from natural human hair, and were quite expensive. The hair of horses and goats was often used as a cheaper alternative. Practically, the 16th-17th century wig was a means of compensating for hair loss or improving one’s personal and hygienic appearance. The unhygienic conditions of the time meant that hair attracted head lice, a problem that could be reduced if natural hair were shaved or shortened (which was the reason the Puritans are often called “roundheads” – a close shave of their hair to their heads) and replaced with a more easily de-loused artificial hairpiece. In popular society they were introduced during the reign of Charles II (1660-1685). By the middle of the 17th century wigs were the universal custom, but faded out of general use later on during George III’s reign (1760-1820). In the 18th century, wigs were powdered in order to give them a distinctive appearance of white or off-white color. Wig powder was made from finely ground starch that was scented with orange flower, lavender, or orris root. Wig powder was occasionally colored violet, blue, pink or yellow, but was most often used as white. Powdered wigs became an essential for full dress occasions and continued in use until almost the end of the 18th century. Powdering wigs was messy and inconvenient in many ways, and wig-makers developed naturally white or off-white powerless wigs made of horsehair which is common even today among English Magistrates and those dealing with the law in court. The Pilgrims who came to the Massachusetts Bay Colony did not wear wigs in early America, and many pastors in early America preached against wearing wigs in church blaming the “fashion of the day”; but that did not last long. 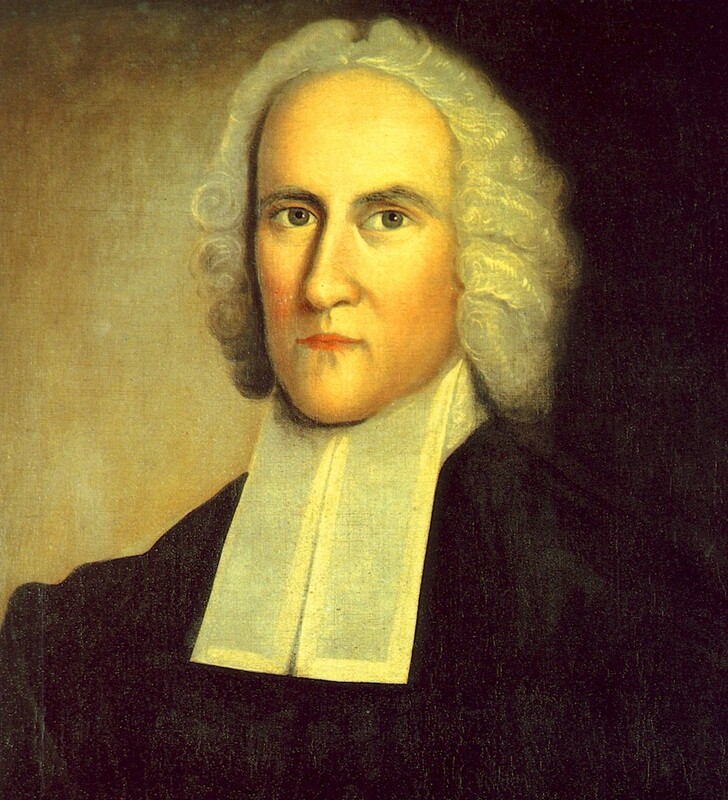 By the 1700s, young men were lightly powdering their natural hair, and the colonial wigs became very popular even among preachers, lawyers and businessmen. After 1790 both wigs and powder were reserved for older, more conservative men, and were in use by ladies being presented at court. Even before wigs were used by those in court there is some evidence that lawyers wore white coifs, such as the black coifs seen worn by the reformers in many of their painted portraits. This was a kind of cloth cap which ties under the chin. The idea was that there is a need for lawyers and judges, or those in an authoritative position to be set apart from “the ordinary” and lend seriousness and gravity to court proceedings or their particular station. Many educators, teachers and doctors wore such coifs, caps and wigs in the university being immediately distinguishable from the student. The puritans were quite comfortable to wear a Geneva robe, preaching bands (those two white extended collars around the neck), and a wig to remind the people of the difference between the ordinary station of providence in life, and the authoritative station of the preacher as God’s mouthpiece to the people of God – and that was the point for the puritan. It was not a practice for the Puritans to wear wigs in daily life. As a matter of fact, many of the puritans preached against “fashions” of the day and included “periwigs” or wigs as something that was often abused. Wigs for the general populace were seen as something fashionable and the Christian, generally speaking, was to walk circumspect against trendy ideas for the sake of them. Outward adornment, as the Apostle Peter directs, is something that should be exemplified in godliness, not the size of your wig. But place the wig, the robe and preaching bands in the realm of the preacher’s attire and uniform working on behalf of God and you have a completely different type of case to make. Today trends have pressed “preachers” to move in an entirely different direction which is to equate with those in the pew, not stand apart from them. This is the reason we have the see-through pulpits, the disregard for appropriate attire (wearing a t-shirt from the stage? ), or other post-modern ideas that have infiltrated church pulpits to make the preacher less authoritative and more ordinary. In practicality, the puritans saw wearing a Geneva robe and wig as a decrease in themselves and a focus on being the mouthpiece of God. “Look at how nice the pastor looks today,” says one lady on the Lord’s Day to another sitting in the pew. That is dispelled with the covering of the clothes by the robe and the covering of the head with the coif or wig. It distinguishes the gravity of what is about to take place. It is then the preacher, the mouthpiece, set apart to a holy duty of preaching with gravity.